Once again, I have been swayed back to Asics, after my time of running with the Saucony Triumph 6, by the asics Gel 3010, the latest addition to Asics stability range. Being a mild forefoot overpronator I found that the shoe worked superbly for me, being both very stabile, yet flexible and well cushioned enough to make the ride feel great, even on hard roads. The weight of the shoe, whilst being quiet high (360g) feels a lot lighter on the feet, and my first run of 12 miles in them went well, and they didn't need breaking in at all. The Gel heel, as with all asics trainers, combined with the double density Sockliner, gives that great cushioning effect, without feeling spongy, and a nice cool breathable upper meant that even on the hottest days (not that we have had many) made the run even more enjoyable. Once again Asics have once me back, and this shoe is a must for anyone who wants a firm ride, without feeling that their feet are in a strait jacket. Well worth the money and with all asics gel trainers get my vote as being the best on the market. 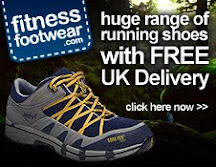 These, and many others can be bought on-line at Fitness Footwear, my first choice for running shoes. Searching the interwebs b/c I am torn between these and the Nike Lunar Glides. Any helpful advice? From personal experience i have always found Nike to be a bit too narrow and tight on the achilles. 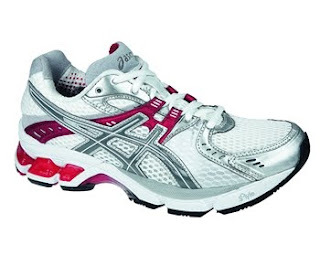 But these fitted perfeectly and i have had no problems at all, if anything i find these better now that the Asics Cumulus, which i have always favoured. I actually bought the 3010s and returned them today for the Lunar Glides; I was torn. Both felt great but the LGs felt lighter and slightly more streamlined. I ran in the Nike Structure Triax 11s for the last 8 months and liked them a lot. But, now that you say that, the Lunar Glides do feel a little snug on the outside of my heel; the achilles fit does not bother me though... damnit, too late now. Oh well, only 100$ I guess. I have not ran too seriously since high school and Nikes sucked and Asics ruled then... So I felt strange returning the 3010 for the LG. Anyway, done now and thanks for the reply. I've allways been a fan of asics even when i was younger . After years of no running and pure mountainbiking i'm returning to the running-part of the training. So my first step was to go to the local specialist to see what shoes fitted me best. The shop i went to , are true specialists and also make changes to the innerparts of the shoes for people with all sort of troubles. I do recommend serious runners to visit such specialist-shops. After trying out about a dozen shoes from adidas , nike , mizuno and asics..there was only one that fitted me the best! These asics 3010. A wider heel and forefoot aswell as a good firm support on the outer-side of the ankles and heels. Ineed this because my right knee tends to bend inwards (heel going outwards) so i need this support for a good run. The same evening i ran about 5 miles ( as i'm still low in condition) and was very comfortable in them , no pains , goods grip in loose and hard soil , good ampening on the heels ...i'm sure i made a right decision. But then again , everyone has to look for his own best fit and best model.